I think it is safe to say that we are now officially in the cold season in Nairobi and as such, our closets need to reflect the same. Assuming your closet space is as limited as ours (a girl can never have enough closet space though! ), it is time to stash the vests, chambray shirts and sun dresses in the top drawers and make room for cardigans, jackets, stockings and all things fleece. As for shoes, this weather calls for boots in all possible designs. Just when I was thinking of getting more cold friendly shoes, our friends at Bata asked us to try out their flagship brand Safari Boots. This is a shoe I grew up wearing and the moment I tried on a pair, I felt like I had reunited with a long lost pal. Memories of the World Rally Championship engulfed me and immediately, I was back in the 90’s with my dad and my brother cheering on Ian Duncan and David Williamson to victory. 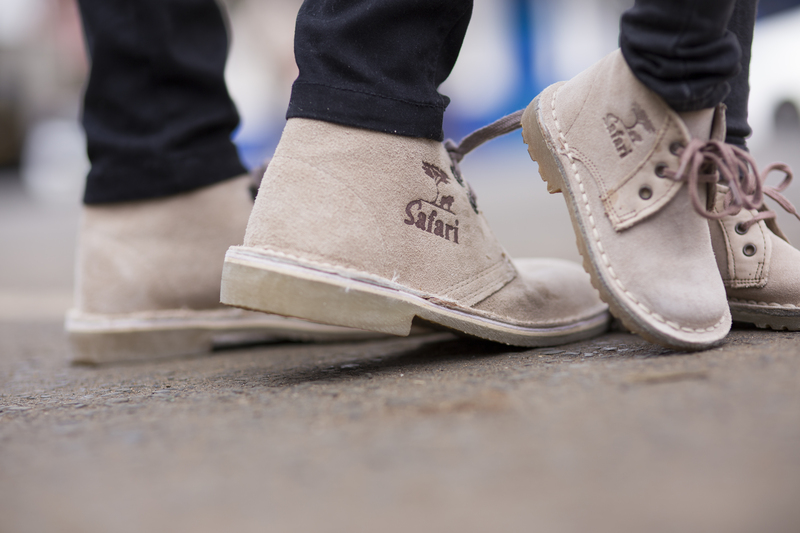 For me, the Safari Boot has always been synonymous with rough terrain and the wild. 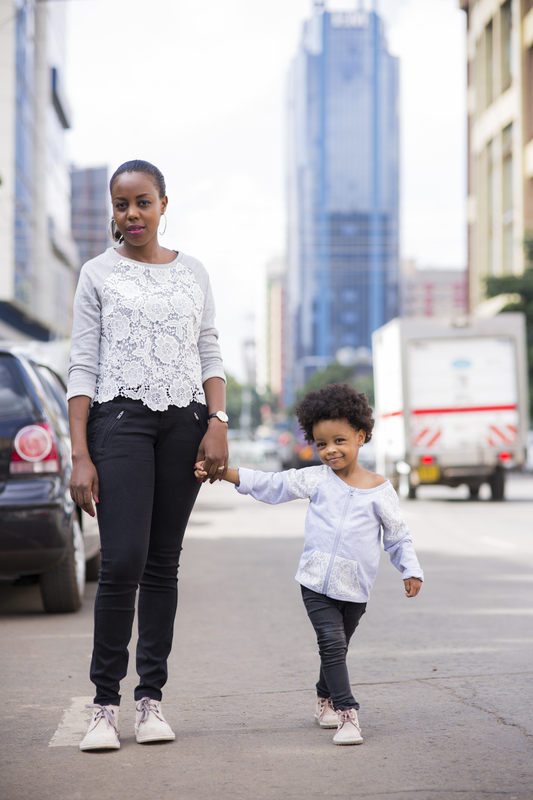 However, recently I discovered it makes for a snug shoe for the cold season and better yet, a fashionable pair for my daughter and I. The fact that I can find a shoe that I fancy in both my size and my daughter’s in one store is a major win for us! High five to twinning if you feel this as much as we do. The kids sizes run from size six which can comfortably fit a three-year old. 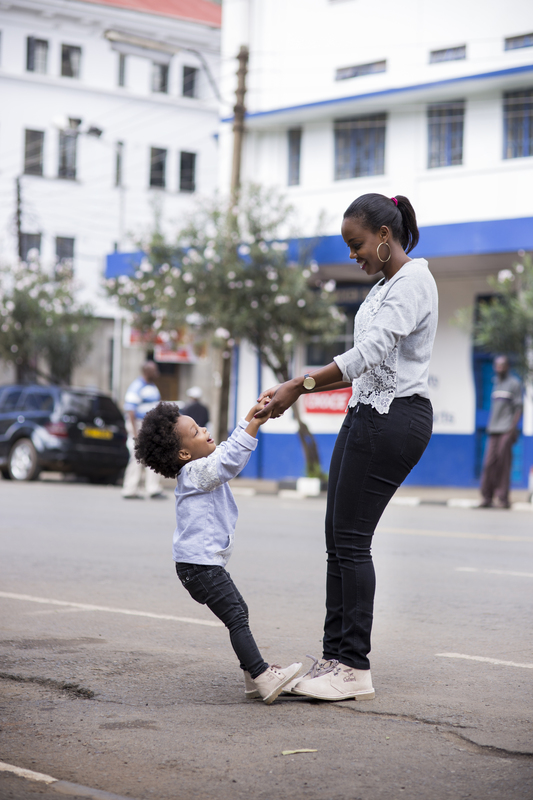 What’s more, Bata is currently giving up to 17% discount on Safari Boots until 31st of May as they celebrate the boot’s anniversary. Head over there and grab your babies and yourself a pair! For more on shoes your toddlers can rock in the cold season, see these past posts here and here. Do not forget to subscribe to our blog if you love our posts! I have never thought of rocking safari boots but this post might just get me trying them. The photos are on point especially the last 2 quite creative. Charles is a legend I tell you! Black, Lace and Sahunyazzzzz! wish I could pull off this look without looking Mshamba type. Y’all are my favourite mother daughter team. Btw any ideas for mother’s day?? Ati Sahu what? Hahahahahaha. I did not know they are called that! Thanks Jay, we appreciate you too 🙂 Check out the Mother’s day post and thanks for the suggestion. Looking lovely. I thought Safari boots were a preserve of men but seeing you beautiful ladies rocking them has changed my mind. Love the look. Mama Julia, you better be getting yourself and Julia a pair soon! Thanks for reading. Got myself a blue pair and I’m loving them!! ..you make safari boots looks so cool Joy and Xena…. ..?? I would loooove to own a pair now ,hoping I work them same way you two are working this boots…. …mummy musings Monday ? #publicdemand mama Xena…. I was also pleasantly surprised at how fashionable Safari Boots can be! I bet you and your baby will look fierce in them too. this is beeeautifulí ½í¸í ½í¸ I looove!! Glad you love it Fridah! Try the look with your ‘twin’ and let me know how it goes.